(Sun Prairie, WI) – November, 2018 – Continental Mapping is pleased to announce the hiring of Aaron Wolf, PMP, as new General Manager of the Civil Works Sector. Mr. Wolf is a recent active duty army officer retiree with 24 years of service. His hiring bolsters the growing sector with comprehensive experience and industry insight. Mr. Wolf, a native of Poynette, Wisconsin, has a distinguished military career. Retiring as Lieutenant Colonel, he has served as the deputy district commander with the Corps of Engineers’ St. Louis and Vicksburg districts. He also served as the Division Engineer for the 101st Airborne Division (Air Assault) leading engineer efforts during operations in Iraq in 2016. He commanded the 320th Engineer Company (Topographic) in Iraq from 2003-2004. Wolf has deployed five times and earned seven combat overseas bars with missions in support of Afghanistan, Iraq, and Kosovo, as well as numerous military awards. He brings a strong experience and educational background to the role, including a Bachelor of Science in geography (cartography) from the University of Wisconsin at Stevens Point and a Master of Science in engineering management from the University of Missouri at Rolla, and successfully completed various military courses. Mr. Wolf is also a certified PMI Project Management Professional. 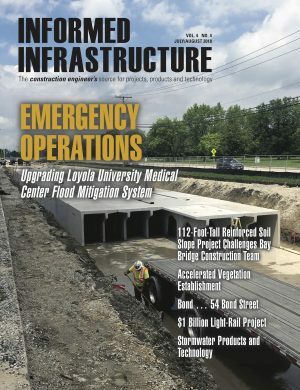 The addition of Mr. Wolf is a strong signal of Continental Mapping’s dedication to supporting the U.S. Army Corps of Engineers and other federal agencies. Mr. Wolf will seek to expand on the steady growth of the sector and leverage his experience to provide benefit to the company and its clients. Mr. Wolf is married to the former Kari Werschem of Kaukauna, Wisconsin, and they have three children. About Continental Mapping Consultants, Inc.
Continental Mapping Consultants, Inc. provides comprehensive geospatial services to worldwide markets to enhance decision making. We offer mapping and surveying services to governmental agencies and private entities focused on national security, mobility, environmental quality, and infrastructure. Continental Mapping employs innovative technologies to collect, process, curate and analyze geospatial data to better the world around us. Using imagery from cell phones to satellites, lidar point clouds, artificial intelligence, and commercial software development, we produce the geospatial data decision makers need. Founded in 1999 and headquartered in Sun Prairie, Wisconsin, Continental Mapping is a privately held company with stable and reliant processes that enable consistent growth and deliver quality products.